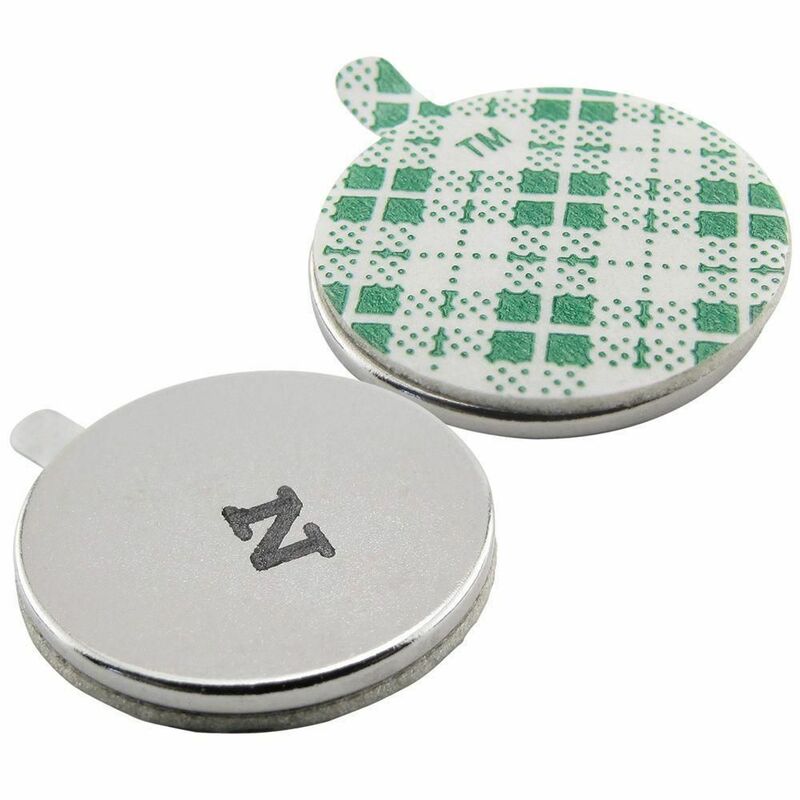 Neodymium magnets that adhere to irregular surfaces. Neodymium grade 35 nickel-plated magnet disks feature a pre-applied, 0.030" thick, acrylic foam adhesive. Pre-applied adhesives reduce assembly time in a variety of applications. The foam adhesive conforms to the irregularities of rigid substrates and adheres the magnet to a multitude of materials including wood, plastic, ceramic, rock, paper, and much more. These magnets have a grade of 35 with a Gauss rating of 12,200. Maximum operating temperature is 80°C (176°F).